So Proud of Her | What Next? Guess whose art work was featured on the Google home page for January 1, 2015? Cindy Suen, one of my former students. I had Cindy in my English class at an international school in Hong Kong. I was so impressed with her artwork then already. She often used sketches and drawings to respond to novels and poetry she had read. 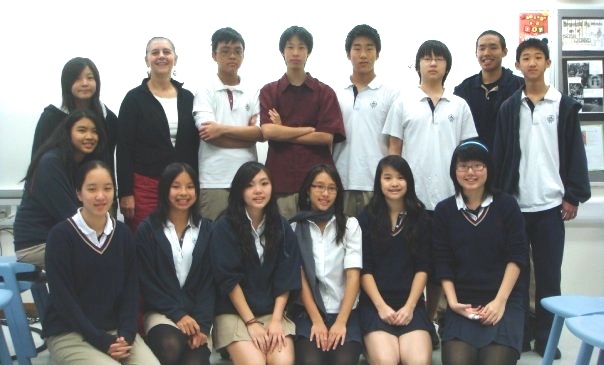 In this photo with my grade ten Literature Survey class Cindy is sitting in the front row second from the left. 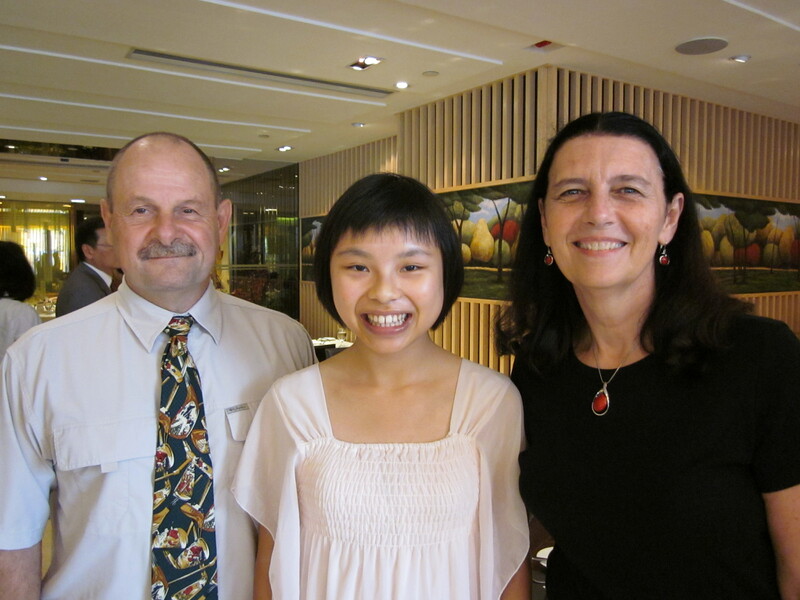 My husband Dave was Cindy’s physical education teacher and here we are posing with her at a graduation event in 2011. Cindy was not only a good artist but a great athlete who competed in cross country events as a member of our school team. You can read what Cindy has to say about working on the design for Google here. After highschool Cindy studied at the Savannah College of Art and Design. Other posts about artists who were my students……..